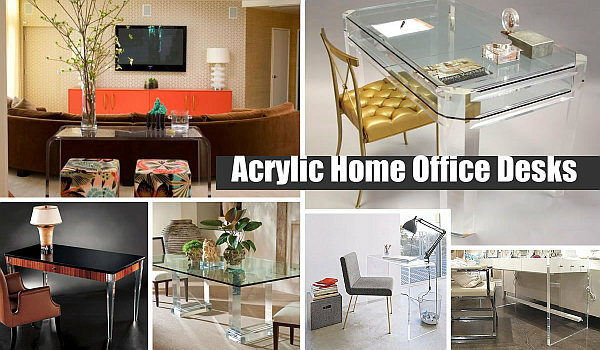 When it comes to office furniture, nothing clarifies your space like acrylic! 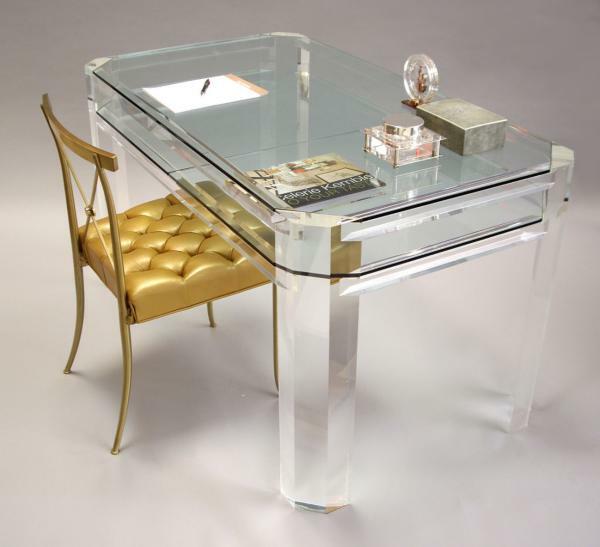 In fact, clear acrylic desks for the home office are in high demand, in part because of the luxurious quality they add to a room with their icy shine, and in part because of the tidy appearance they offer. 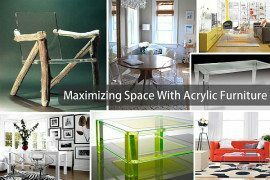 After all, the transparency of acrylic furniture gives it the illusion of taking up little to no space, which makes the room seem bigger. 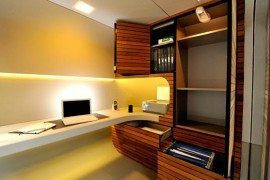 Not to mention, the see-through aspect of acrylic desks motivates their owners to keep them neat, especially when see-through drawers are involved! 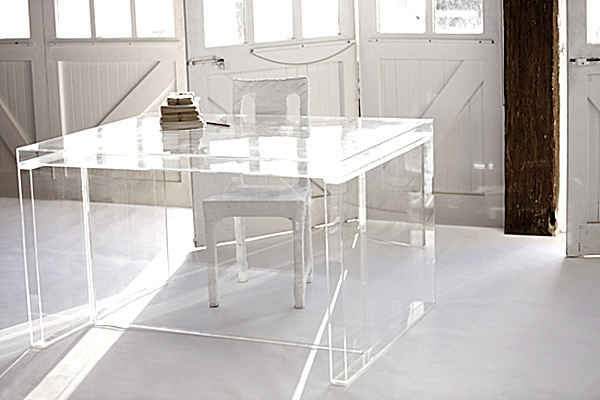 We’ve curated a collection of clear acrylic desks for your browsing pleasure. 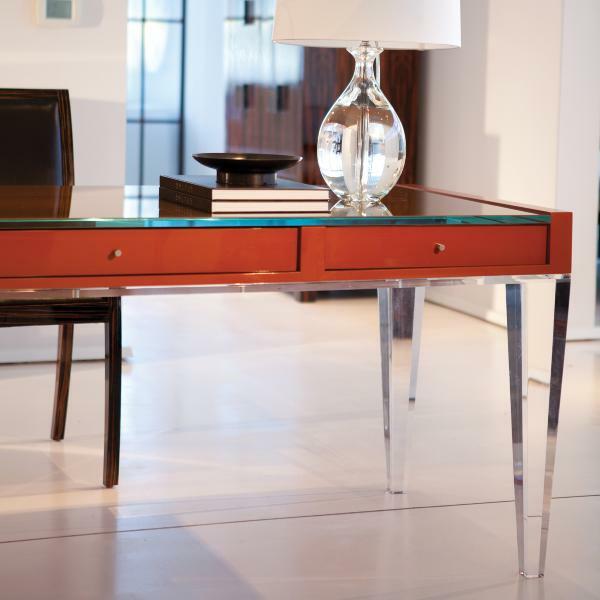 From pieces that are entirely transparent to lacquer desktops with acrylic legs, a variety of options awaits you. 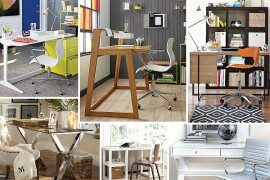 Whether you’re looking for a hefty desk that can hold a large stash or a petite table that can double as a work space, you’re sure to find inspiration in the selections below. 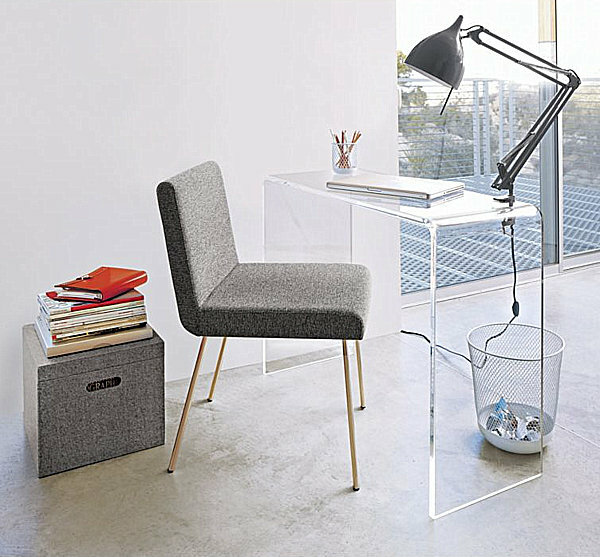 In another shot of the Peekaboo Clear Console, we see the benefit of combing wall storage with desktop space for an office vignette. 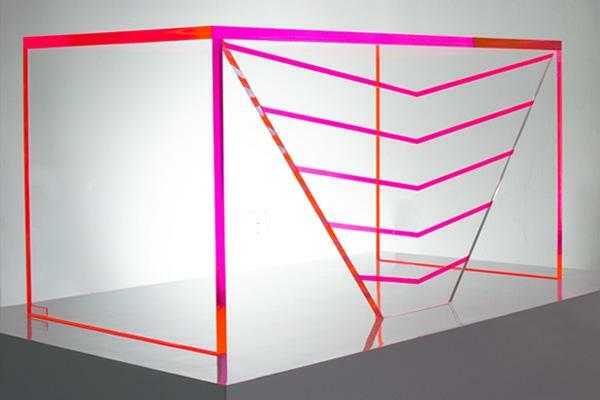 Von Furstenberg’s Luminous Acrylic Desk is equally stunning with its fire-pink edging and a design inspired by the grill of a car. 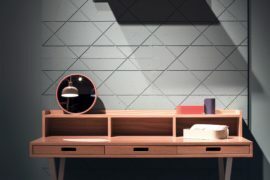 If see-through isn’t the look of choice, the piece also comes in opaque black, opaque white, or translucent shades like smoke and bronze. 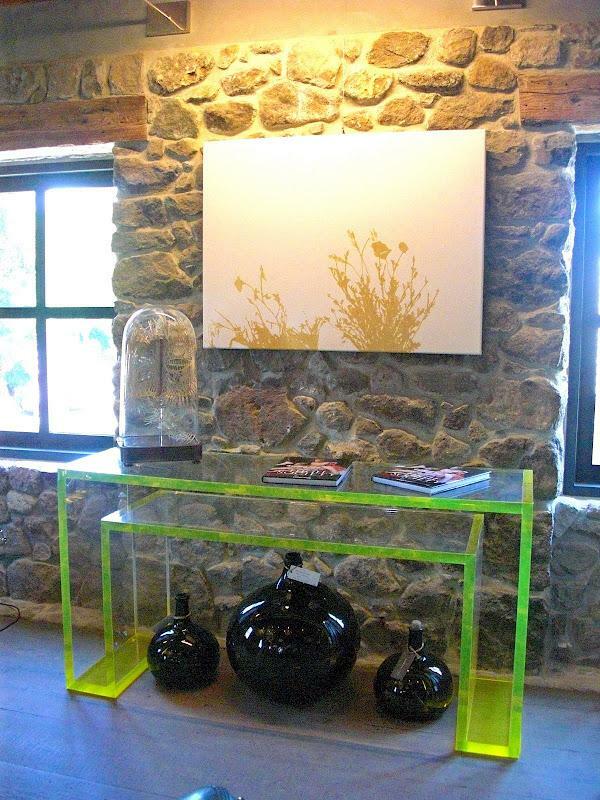 Another AVF favorite with neon detail is the Ice Acrylic Dining Table, which was featured in a previous Decoist post on acrylic furniture. But don’t be fooled by its name. 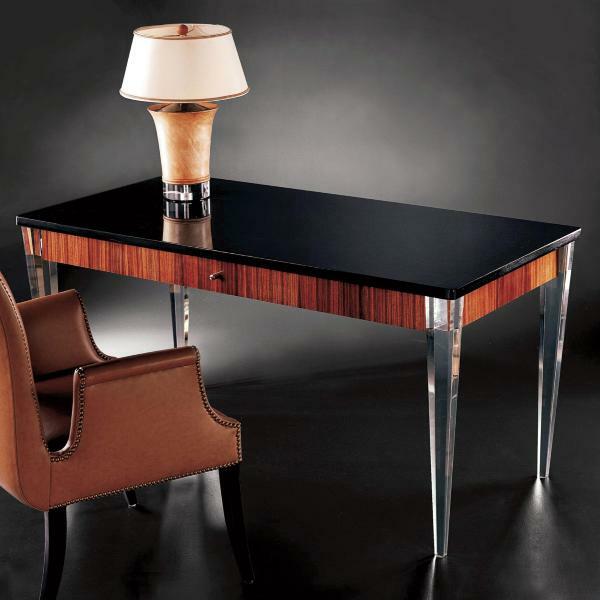 The piece makes a great desk, and some even use it as a console table. 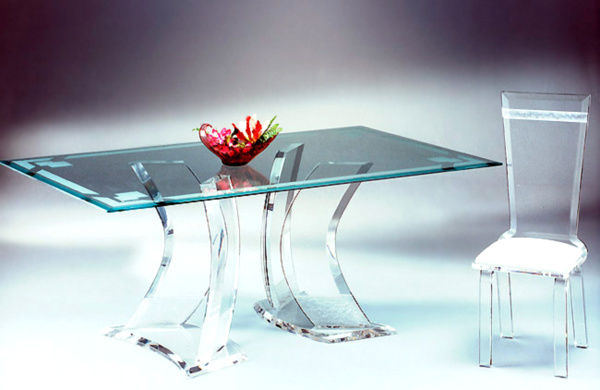 The legs of this furnishing are also available in blue, pink or red. 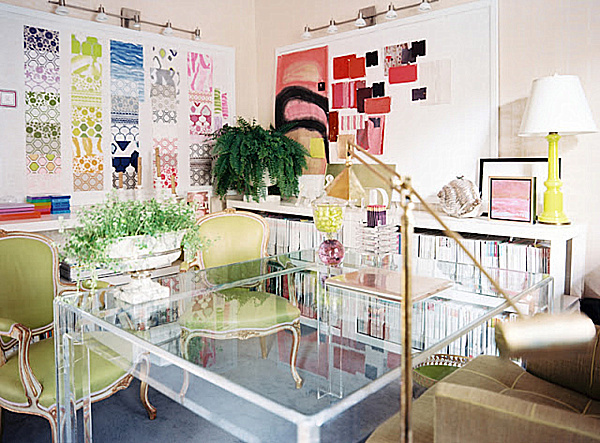 Lucite is the brand name for the acrylic first manufactured by the DuPont Chemical Company beginning in the 1930s. 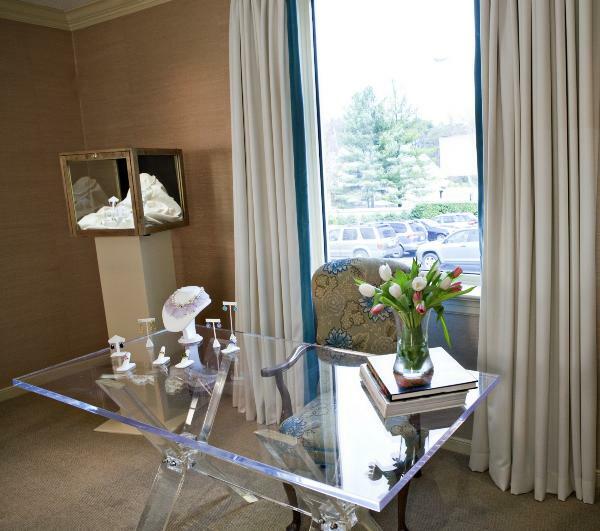 All Lucite pieces are acrylic, but not all acrylic pieces are referred to as Lucite. 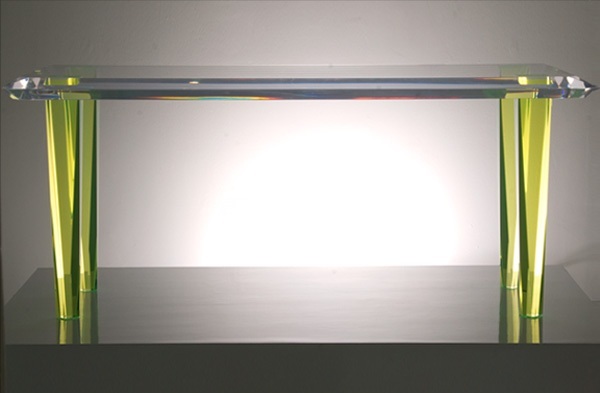 In fact, other acrylic brand names include Perspex and Plexiglas. 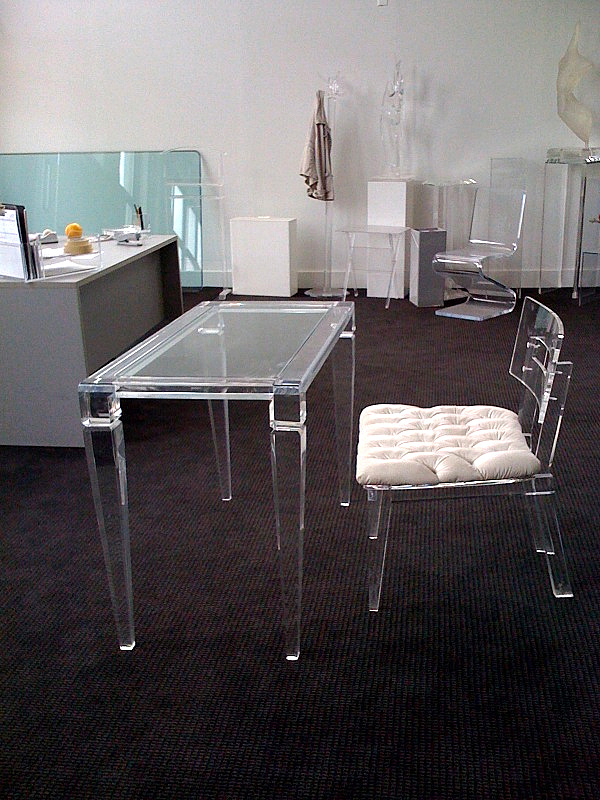 Lucite was initially used in the manufacturing of war materials during the 1940s, but its appeal was eventually noted by fashion and furniture designers alike. 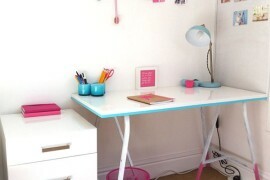 When it comes to acrylic desks, there is no set rule on size or style. Select a piece that meets your needs. 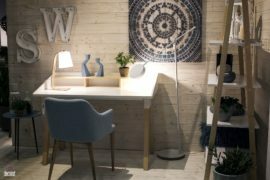 If your room is small, consider using a console table as a desk. 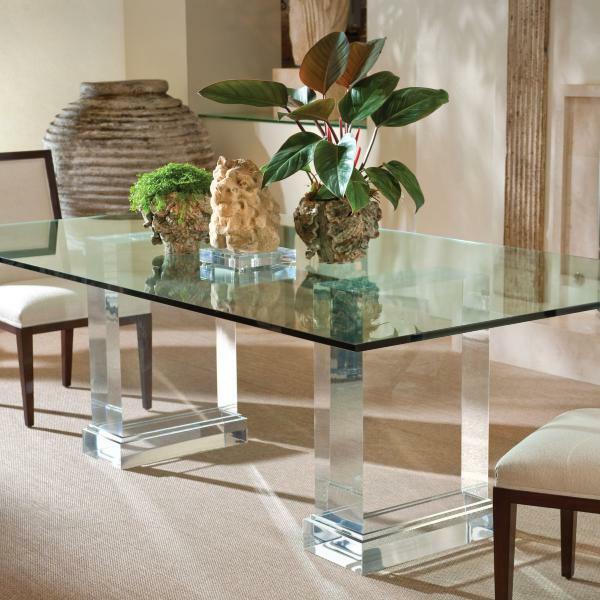 If space is no object, choose a large dining table and enjoy the ample work space it provides. 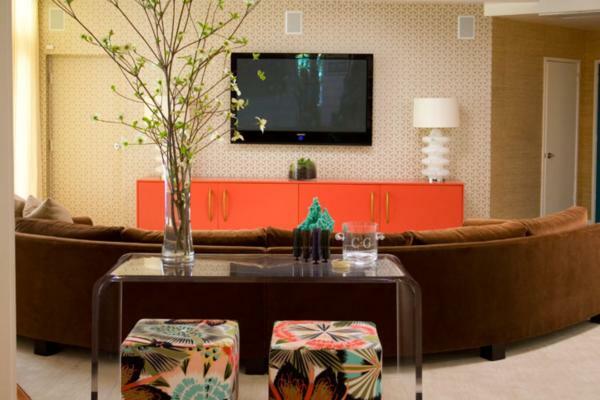 Don’t be afraid to take a style risk by picking a colorful item, or by selecting a piece that mixes acrylic with other materials, such as lacquer and glass. 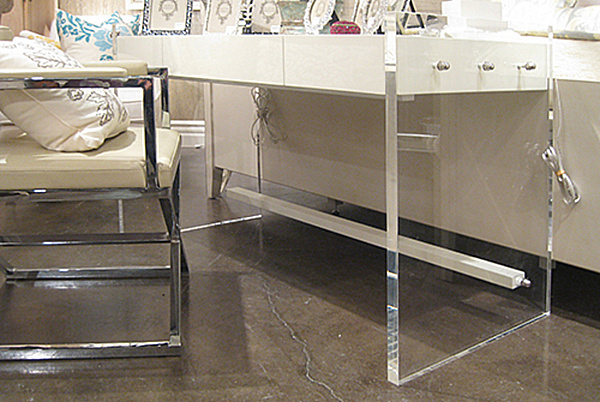 Whether your look is elegant or edgy, there is an acrylic option for you!